Whether your team won or lost Super Bowl LIII, one thing remains true: You can win your own championship every day when you’re sporting a smile you love. A smile makeover is the MVP of cosmetic dentistry. A good smile can be the difference between achieving and failing in your daily life, whether socially, professionally, or romantically. If you want to be on top in NYC, you must look the part. You can win an award or be given an honor, but the last thing you want to remember from any special occasion is a feeling that people were judging you because of your smile. 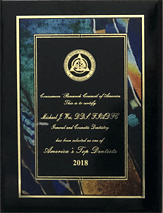 You need one good coach – an experienced and talented Manhattan cosmetic dentist – and a roster of cosmetic dentistry procedures to give you a gorgeous smile. You must put in the work too, and that begins with healthy teeth and gums that are ready to receive an upgrade. Porcelain veneers: Veneers are the major player on the field. They transform smiles in all ways, whether your teeth are chipped, short, stained, or unsightly in any way. You cannot go wrong with these super-thin shields of porcelain that are customized for your teeth and mouth. Prepless veneers have become the new go-to treatment. Porcelain crowns: A compromised tooth needs to be covered so it blends in with the rest of your smile and protects what’s left of the tooth underneath. Porcelain crowns are used after root canal therapy, but they are also employed in place of a large filling, to fix a broken tooth, and to build up a weak or broken tooth. Porcelain onlays: If you want a fast, non-invasive solution to an ugly-looking tooth, porcelain inlays and onlays are customized to fit perfectly over the compromised area so your smile is once again complete and lovely. Dental implants: Missing a tooth or many teeth? Dental implants fill the hole in your smile while also replacing the missing tooth root. Your entire smile is stronger and more secure with permanent dental implants that look natural and feel comfortable. Porcelain bridges: When you want to bridge the gap between a tooth, a hole in your smile, and another tooth, a porcelain bridge does just that. It’s made of a prosthetic tooth or teeth and is anchored in place by porcelain crowns for a secure smile solution. Full-mouth reconstruction: If your teeth not only look bad but you have decay, infection, and even jaw pain, full-mouth reconstruction addresses every issue for a well-rounded smile makeover. By the time your dental work is done, you’ll have a smile that functions perfectly and looks stunning. 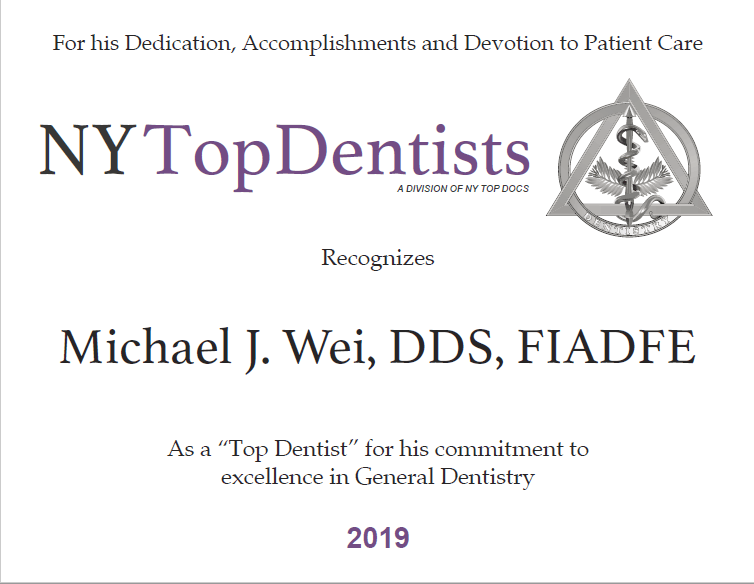 Practice makes perfect, and Midtown dentist Dr. Michael J. Wei has made his reputation by delivering amazing, flawless smile makeovers to his patients. Find out how to win your personal Super Bowl of cosmetic dentistry. Make an appointment with Dr. Michael J. Wei at his office on Madison Avenue and look like the champion you are.